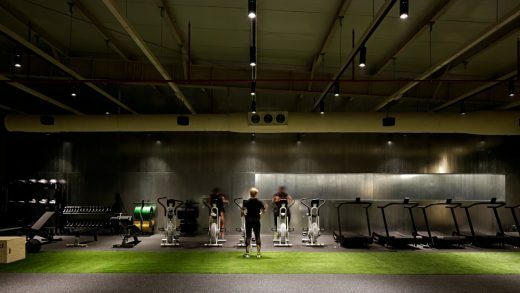 Being the first commercial boxing gym in the region, The Burrow introduces a modern combination of boxing exercises to Kuwait. 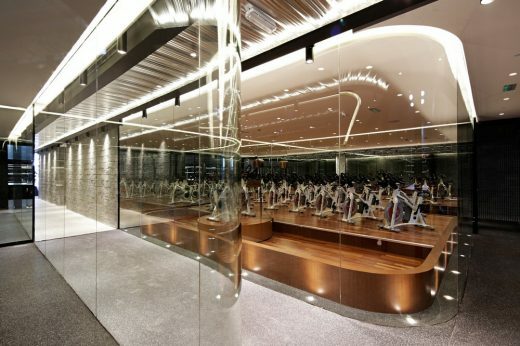 The gym is composed of a welcoming lobby, semi-private workout halls, a boxing arena and an elevated cross fit area. 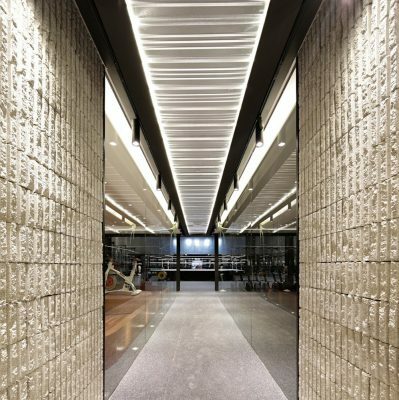 While designing the space, the key factor was in emphasizing a natural flow of movement and the element of surprise. 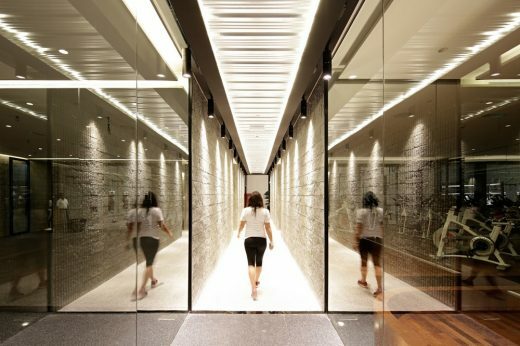 In order to reach the main workout area, members have to take a relatively narrow corridor, passing by the locker area and into the main workout hall. 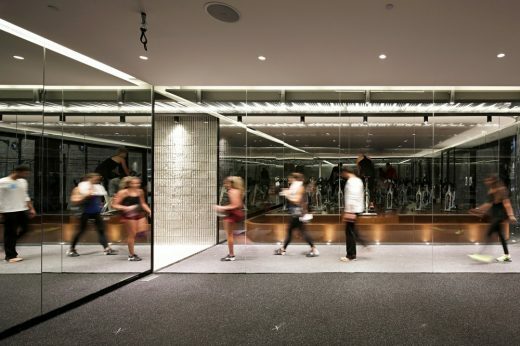 In contrast to the corridor, the spacious workout area embraces an elevated boxing ring in it’s center. 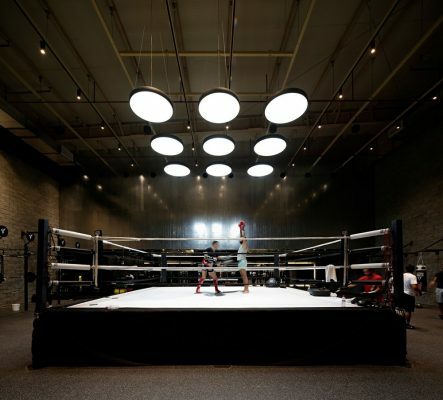 The boxing ring is dramatically lit with nine pendant lights to highlight it’s importance in the facility. The workout area & classrooms were designed in a way to serve versatile activities. 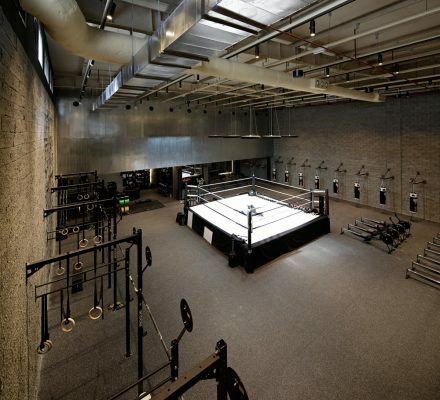 The mezzanine level creates an additional workout space, and a balcony with a clear view of the boxing ring. 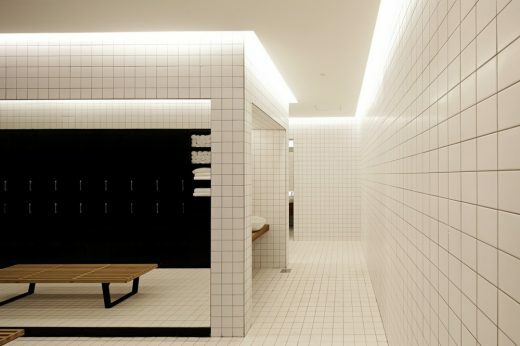 The materials were inspired by the retro boxing gyms, which were usually direct without any extensive decorations. 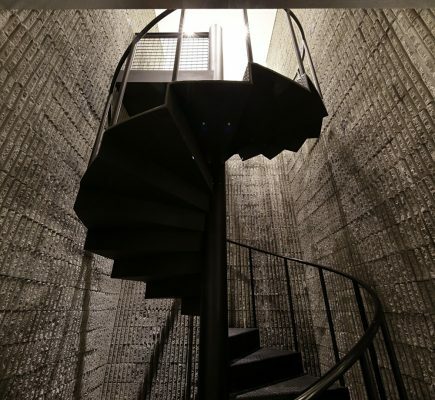 Therefore, the materials used were a combination of concrete blocks, subway tiles, steel, and hints of natural wood. 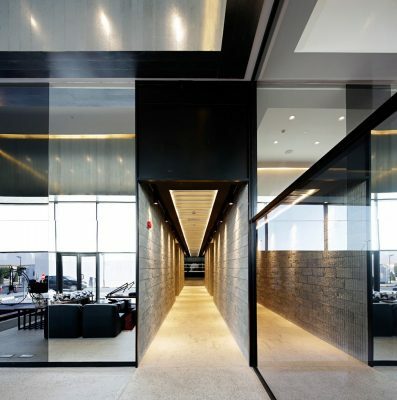 To guarantee a crisp day atmosphere, that would usually differ from the evening ambiance, skylight openings were introduced on the northern walls to allow for diffused natural light. 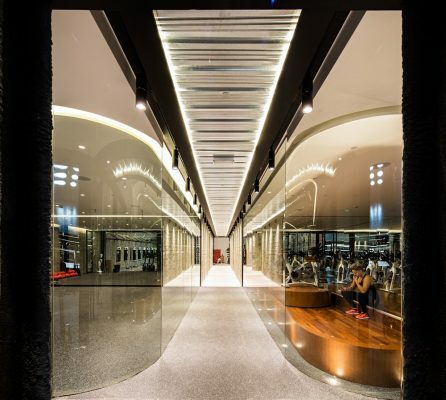 Curved glass corners were used in the corridors, thereby ensuring a welcoming clear route between the entrance, lockers, and main workout area.